Neck pain is one of the most common musculoskeletal complaints among patients. Several studies have proposed that reduced cervical lordosis may be a result of cervical trauma or disc degeneration. Furthermore, the amount of cervical lordosis may be a good indicator for treatment prognosis.4 Unfortunately, some of these studies may suffer from deficiencies, including lack of comparison to a healthy control group. The angle of cervical lordosis was measured for 29 patients with subacute, chronic, nonspecific neck pain.4 These measurements were compared to those of 30 healthy subjects to determine if there was a change over the course of four weeks of cervical manipulative therapy, with two visits per week. Measurements were taken at baseline for both groups of subjects and at the end of the four week treatment period for those with neck pain.4 The researchers determined that the neck pain patients would have to show a minimum of a 13.5° positive shift in the angle of lordosis to be able to attribute it to the treatment. The researchers noted that although the changes in lordotic curve did not mean the minimum required level to attribute the changes to therapy, there was nevertheless improvement. “It should also be acknowledged that, while the measurement method used in the study was reliable and highly standardized, the observer interpretation of x-rays may have been an important source of measurement variability (error) and the sample size was small,” Branny said. Despite these results being inconclusive, this study’s main strength is in the comparison to healthy subjects. They hope that further studies will strengthen their initial findings by using a larger sample of participants. Fejer R, Kyvik KO, Hartvigsen J. The prevalence of neck pain in the world population: a systematic critical review of the literature. European Spine Journal 2006 Jun, 15(6), 834-848. Hogg-Johnson S, van der Velde G, Carroll LJ, et al. The burden and determinants of neck pain in the general population: Results of the Bone and Joint Decade 2000-2010 Task Force on Neck Pain and Its Associated Disorders. Spine (Phila Pa 1976) 2008 Feb 15, 33(4 Suppl), S39-S51. Nordin M, Carragee EJ, Hogg-Johnson S, et al. 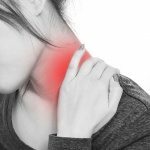 Assessment of neck pain and its associated disorders: results of the Bone and Joint Decade 2000-2010 Task Force on Neck Pain and Its Associated Disorders. Journal of Manipulative Physiological Therapeutics 2009 Feb, 32(2 Suppl), S117-S140. Shilton M, Branney J, de Vries BP, Breen AC. Does cervical lordosis change after spinal manipulation for non-specific neck pain? A prospective cohort study. Chiropractic & Manual Therapies 2015, 23, 33. doi:10.1186/s12998-015-0078-3.